Q – Is there a universal remote to open most garage doors? I lost 2 of my remotes for 2 different brands of garage door openers. I have a 2 car garage with a Craftsman opener and a 1 car garage with a Stanley opener. Both of them have a different remote control garage door opener. I use one remote for the 2 car garage and 1 remote for the 1 car garage. Can you tell me if there is one single type or brand of garage door universal remotes that I can use to program to open BOTH of my garage doors? I know I would have to buy 2 of the same remotes but program them separately. Since I have lost both remotes, is it possible to buy just one type of garage door remote that will open both of my doors if I program them accordingly? This would solve my issue. Genie, Linear, Stanley, Overhead Door, Wayne-Dalton, Craftsman, Chamberlain, LiftMaster, and more. 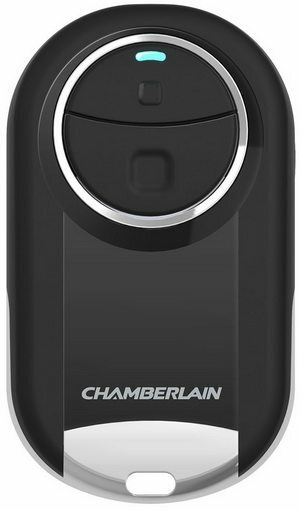 1 – Chamberlain/Liftmaster has a highly rated garage door universal remote. 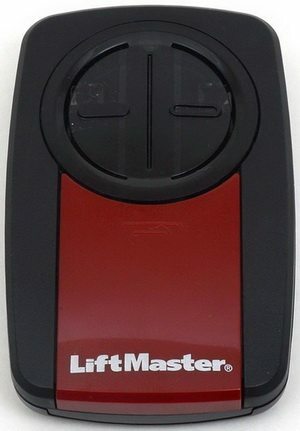 This garage door remote is the Liftmaster Model 375UT. This type of universal remote has “dip switches” inside that are programmed accordingly to work with most garage door openers. 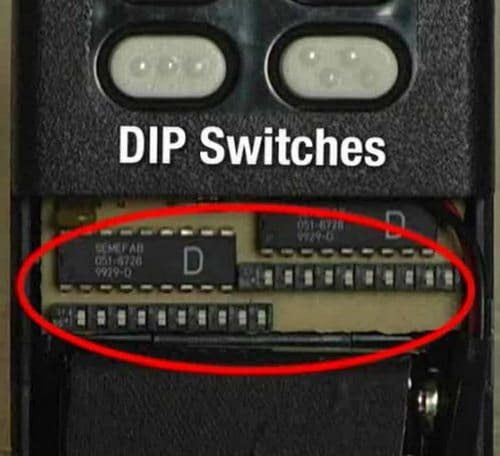 The dip switches may not be as easy as some universal remotes but once programmed it is highly reliable and compatible. 2 – Chamberlain has a universal remote available. It is from the “Clicker” model line. The remote is the Chamberlain Clicker Model KLIK3U. This remote has been shown to work with most of the top garage door opener brands. It is programmed by using one button. Check the year of manufacture date on your garage door opener as this remote works for most brands that were manufactured from 1993/1994 till now and use photo eye sensors. The Clicker is compatible with Genie, Linear, Stanley, Overhead Door, Wayne-Dalton, Craftsman, Chamberlain, LiftMaster, and more. 3 – Chamberlain has a MINI universal remote available. The remote is the mini Chamberlain Model MC100-6. This mini remote has been shown to work with many of the top selling major garage door opener brands. This remote is programmed by using only one button and is easy to set up. The mini Chamberlain Model MC100-6 works with Chamberlain, LiftMaster, Craftsman, Genie and More, Security +2.0 Compatible. 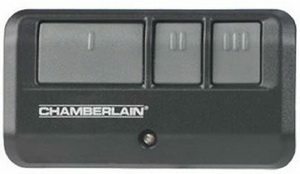 4 – Chamberlain has a 3 button universal remote available. It is called the Chamberlain / LiftMaster / Craftsman 953EV 3-Button Garage Door Opener Remote. This remote programs in seconds and is very simple to setup. It works with most garage door openers such as Chamberlain, LiftMaster, Craftsman from 1993 to present (openers with safety sensors). 5 – Chamberlain has a 2 button universal remote available. It is from the “Clicker” model line. It is the Clicker KLIK1U Universal 2-Button Garage Door Opener Remote. This remote is Compatible with almost all brands of garage doors manufactured after 1993. 2 button design allows control of up to 2 garage door openers or gate systems at once. Uses Smart Learn technology for easy programmability and frequency recognition. Program remote in seconds. Built-in visor clip and an indicator light to show when it is transmitting. 6 – Genie has a 3 button universal remote available. It is called the Genie Model G3T-R 3-Button Remote. This remote Controls Up To 3 Garage Door Openers and is Compatible Only with Genie Garage Door Openers. If you have a Genie garage door opener this is a good choice for a replacement. This remote has technology that changes the access code for entry each time the door is activated, preventing unauthorized access. Use your Genie G3T-R 3-Button Remote to train your built-in vehicle remote system. Remote can operate up to 3 Genie garage door openers manufactured 1997 to present. Up to 2 openers manufactured 1995-1997. If you know of some other, more compatible universal garage door openers, please let us know in the comment section below with the make and model of the remote to assist others when they need to choose a garage door replacement remote.